This appeared in the May 24, 2017 Tastings, the quarterly special section on food and wine published by Eugene’s Register-Guard daily newspaper. Marilena Christie is a tall, slender, salt-and-pepper haired Italian woman who sings when she makes her chocolates. She calls them Brutto ma Buono Cioccolato, or “ugly but good chocolate.” And while ugly isn’t exactly the right word, good isn’t quite right either: Most people who taste them would call them excellent. 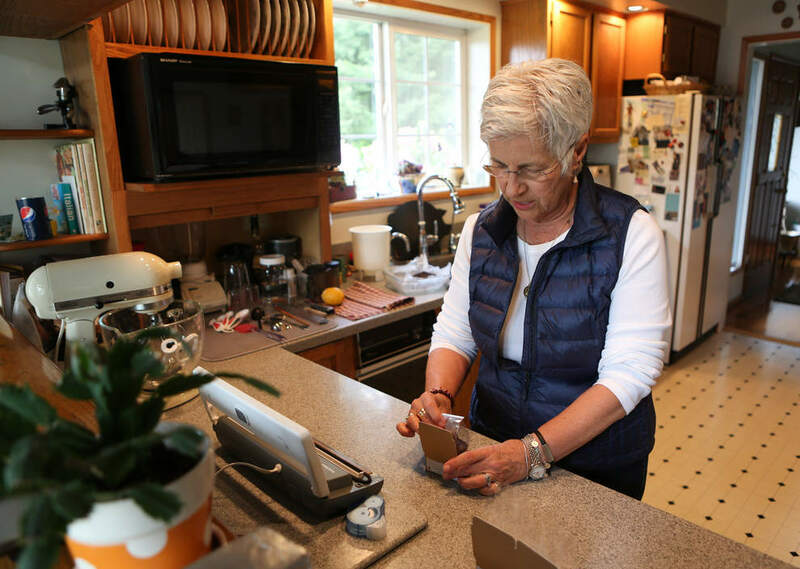 Christie, 68, uses her Northern Italian family recipe for the chocolates, and says she started selling them only after numerous people told her she should make it available to the world. She doesn’t want her chocolate-making to become a chore, however, so she makes only six pounds a week, one pound of each of six flavors. Christie’s father and mother are from Torino, Italy, where her father worked for Fiat, the Italian carmaker, but she was born in Afghanistan. This was in 1948. Her family finally landed and took the Khyber Pass in a beat-up old bus. They stayed in Afghanistan until she was 8, then moved to Boise, Idaho. “That was a real culture shock!” she says with a laugh. She grew up there, with frequent trips to Italy throughout her life. The original flavor was Puro, or “pure,” and was “made with nothing but chocolate, espresso and joy,” Christie says. She now makes Hazelnut; Brandy; Sea Salt with French fleur de sel; Orange Liqueur; and Limoncello, with her own limoncello liqueur. She uses 72-percent cacao from Peru, and each flavor has a pinch of illy espresso powder. With such pure ingredients, the chocolate should be kept refrigerated. 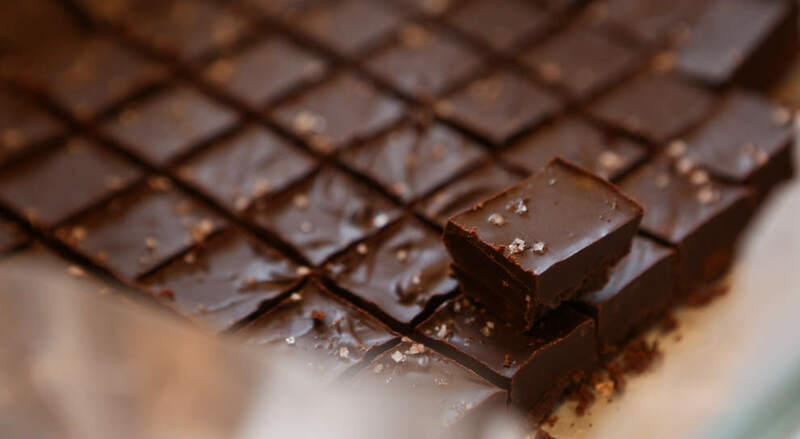 Right now, Provisions Market Hall at Fifth Street Public Market is Christie’s only storefront for her chocolates, but wineries have her chocolates and she presents periodic chocolate-and-wine events at locations around town. It was a local winemaker, Lorrie Norman (at the time with Sweet Cheeks, now owner of Valhalla Winery), who got Christie started pairing her chocolates with wine. Provisions has carried her chocolate for the past year, and during the past three years she’s paired up with local wineries including Pfeiffer, Sweet Cheeks, Abbelone, Valhalla (formerly Domaine Meriwether), J. Scott Cellars, Noble Estate and Camp Creek Cellars. Christie’s chocolates, which are smooth, creamy and soft, go with about any wine, In particular, she suggests merlot and cabernet. “The exception is that the limoncello flavor overpowers pinot gris,” she says. This also isn’t chocolate that you need to eat a lot of to be happy. Christie cuts hers into bite-sized cubes, each of which forms a satisfying mouthful. Christie sells quarter pounds of the chocolates, about 26 pieces, for $13. For $29 she offers membership to the Brutto Cioccolato Club, in which members get advance notice of her special events, a reduced retail price and three differently flavored quarter pounds of chocolate twice a year — in March to celebrate spring, and in September to say farewell to summer, she says. “Chocolate club members also get a wine suggestion for a local wine that the chocolate will pair with beautifully,” she says. More and more people are finding out about Brutto ma Buono, and Christie is shipping some of her chocolates out of state from orders taken on her website. Writer Vanessa Salvia can be contacted at tastings@registerguard.com. Marilena Christie’s Brutto ma Buono Cioccolato, or “ugly but good chocolate,” is available for retail sale at Provisions Market Hall, 296 E. Fifth Ave. in Eugene’s Fifth Street Public Market. It also is offered at some Eugene-area winery tasting rooms, and available for online orders.